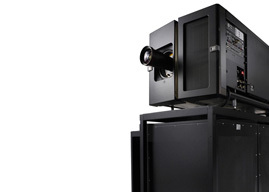 With over 9,000 screens installed since 2004, CinemaNext provides through service agreements online & support services as well as on-site maintenance. On-time support is critical to avoid a black screen situation. We offer various levels of service agreements to best meet your needs and budget. We have also designed online tools to help clients follow their update progress and service requests. Please contact us to determine the best service agreement for you.